I use a lot of ginger... 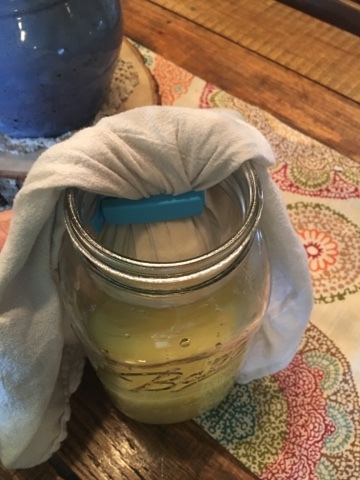 I put it in my drinks, but I will tell you, in the past I would just grate it and put it in the bottle with my water, unsweetened tea, and ACV (apple cider vinegar) but I did NOT like getting the gritty ginger sucked up in my straw. Maybe I'm a wimp, but I didn't care for it. So, I decided I would try something out and I really love the results. I took one large, peeled, ginger root and 1.5-2 cups of water. 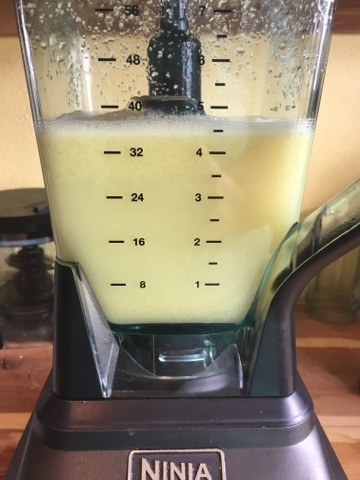 I placed them in my blender and pureed it together with the water. Then I took a thin flour sack type of towel and strained. 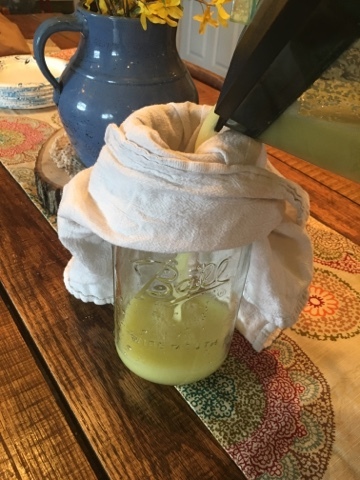 The juice flowed through easily and the pulp remained in the towel. After the initial juice flowed through, I clipped it to help force out any remaining juice. I let that strain for several hours. Then labeled the jar and put a lid on and stuck it in the refrigerator. If it makes too much, freeze some in an ice tray and then take the cubes out, once frozen, and put them into a ziplock type bag and label. 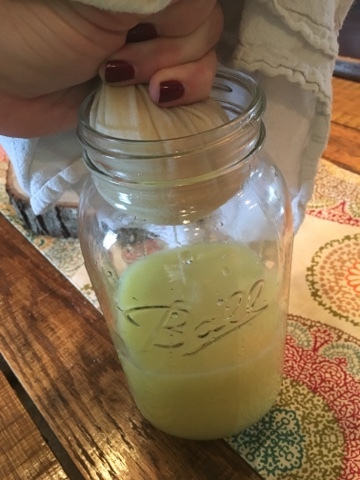 The ginger is great to use in any of my drinks and the pulp is not wasted either. 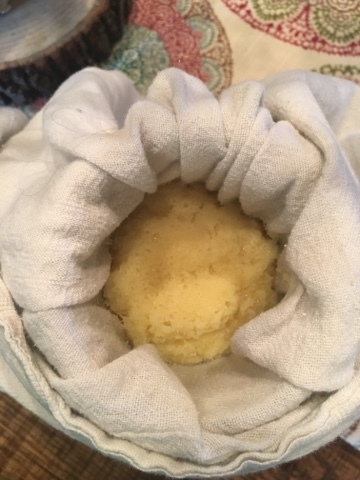 It can be frozen and used in dishes where I would use grated or ground ginger! 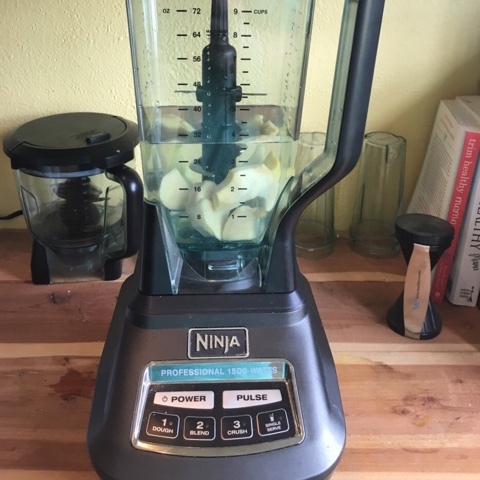 I get the healthy benefits of ginger, with none of the grit for my drinks and plenty of pulp to put in any of my cooking dishes. Hope this is a helpful hint for y'all too! Nice tip. I'll be borrowing it tomorrow. Thanks! Hi. just coming over here from Rhonda's blog. That is a good idea about the ginger. We have ginger growing here and I also have heaps of it frozen in ziplock bags from last year's harvest so I really need to use it up before I dig up this year's lot. I really should make more use of our Nutri Bullet as I want to include more ginger and turneric in our diet.